Americans woke up last Wednesday to the sad news of former All-Pro tight end Aaron Hernandez’s prison suicide. While the Bristol, Connecticut football star’s athletic successes and simultaneous life of crime can seem like the stuff of a Martin Scorsese film, the truth is that his story reflects a generational cycle of crime, broken families, and economic despair that many New Englanders are all too familiar with. Hartford, just a twenty minute drive from the home of Terri, DJ, and Aaron Hernandez, was once one of the richest cities in America. Today it is a shell of the industrial mecca it once was, now burdened with extreme poverty and over 140 different gangs. This is the backyard Aaron Hernandez and his brother DJ were raised in, and this is the lens in which the Hernandez brothers saw the world. This is the story of a desperately broken America. This is the story of Providence, Rhode Island, of Springfield, Massachusetts, of New Haven, Connecticut and dozens more communities which continue to feel the sting of loss of blue collar jobs. Aaron appeared to develop in school and in sports, his mother’s influence heavy over him, but his father’s absence even heavier. Terri Hernandez, a former bookie, and the widow of Dennis Hernandez (aka the “King” of Bristol), was then faced with being a single mom at the age of 47. Aaron’s mother would marry again, but this union was a far cry from hope for the Hernandez boys. Their stepfather Jeffrey Cummings was an ex-convict who would end up assaulting their mother and returning to prison. While Aaron Hernandez eventually signed with the University of Florida at the age of 17, multiple occurrences arose in which his mental state seemed questionable. Bar fights, apparent ties to the Bloods street gang and continued drug use often drew him back to the streets of Bristol throughout his junior year of college. Football was the rope which should have pulled Aaron from despair, yet it did not. He won the 2009 BCS National Championship alongside Tim Tebow, the seemingly direct opposite of himself in every way, and declared for the NFL draft, never finishing his college degree. The Patriots signed him to a 40 million dollar contract, which was nothing short of miraculous for a New England boy and it seemed like Aaron could finally free himself from the chains of crime and a family that never really was. In the summer of 2013, the murder of Odin Lloyd proved that Aaron Hernandez never left the streets behind him. The cycle of violence is not uncommon in communities struggling with unemployment, high divorce rates, and low levels of church attendance. The American Conservative Union Foundation’s (ACUF) Family Prosperity Index (FPI) reveals that Connecticut is dying from the inside out, suffering from “outmigration” (high numbers of people fleeing the state), and the ills impacting most of New England such as illicit drug use and high suicide rates. Connecticut (50th) and Massachusetts (48th) are among the lowest states on the FPI’s marriage sub-index. Rhode Island ranks 30th on the families in poverty sub-index. These factors are indicative of the trends we are seeing nationwide of the systematic breakdown of the family, the bedrock of these once prosperous New England cities. 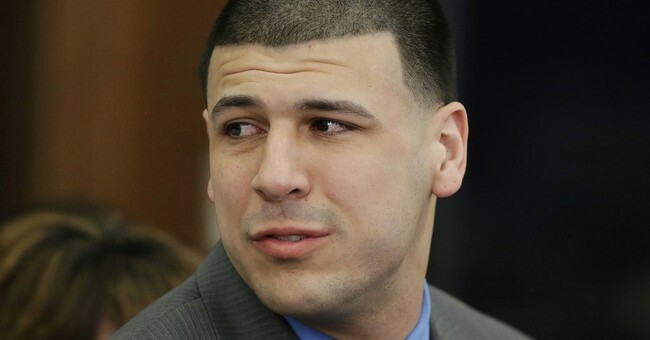 The murder of Odin Lloyd was not Hernandez’s first exposure to crime as he was investigated for several shootings in Florida and in Boston between 2007 and 2013. Flags were consistently raised as Hernandez progressed in his college and NFL career, yet the question of why he would choose his former life of crime in light of all his success is still a mystery to those who refuse to recognize the trends of a rapidly despairing region of our country. Is this a case of you can take the boy out of Bristol, but you can’t take the Bristol out of the boy? Unfortunately we will never know because once a story of triumph has yet again resulted in tragedy. ACUF is currently working with both conservative and liberal governors, legislators and civic leaders in Maine, New Hampshire, Rhode Island, Massachusetts, and Vermont, to start a conversation about those underlying factors that contribute to some of these unfortunate outcomes. The facts reveal what most New Englanders already know to be true (and FPI confirms); there is more work to be done than ever before to help New Englanders improve their lives. Aaron Hernandez leaves behind a young daughter and given his family’s past, which is not unlike thousands of other New Englanders, the fear that what remains of his broken family will fall victim to economic despair is all too real.